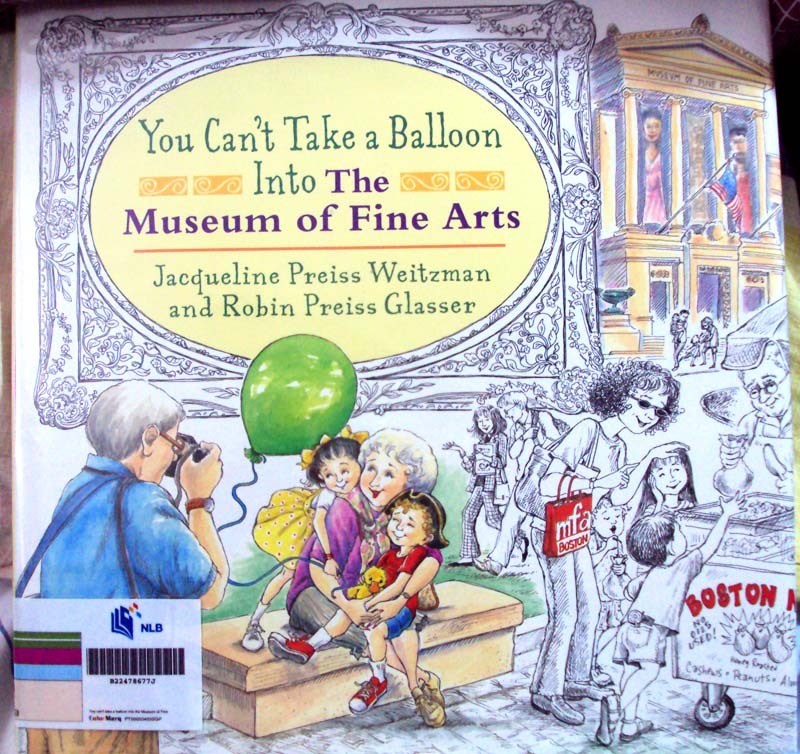 Our balloons and museums special continue with the 3rd book in the series entitled You Can’t Take a Balloon into the Museum of Fine Arts. 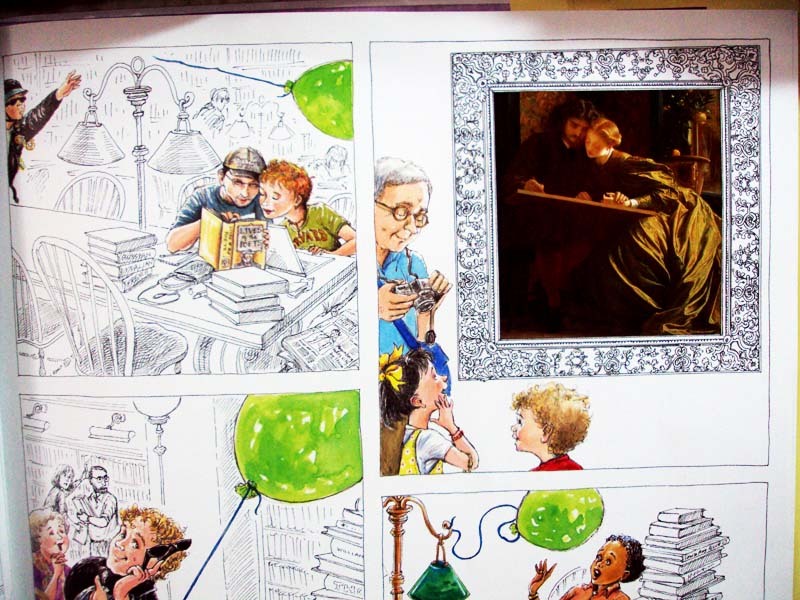 Cast of characters remains the same: a willful balloon, a gorgeous museum, our sweet little girl and her younger brother, the doting grandmother, and the sister-team of Jacqueline Preiss Weitzman and Robin Preiss Glasser (author and artist of the book respectively). The only addition to the usual cast would be the handsome grandpapa who has decided to join the trip this time around. Awfully striking resemblance to the picture below. Further proof of Robin Preiss Glassers artistry. Click on the image to be taken to the websource. Grandma offers to stay behind with a Balloon on the Loose. In New York and in Washington, our usual cast of characters were spared the usual chaos that a balloon-on-the-loose causes as they move from one artwork to the next inside the museum. 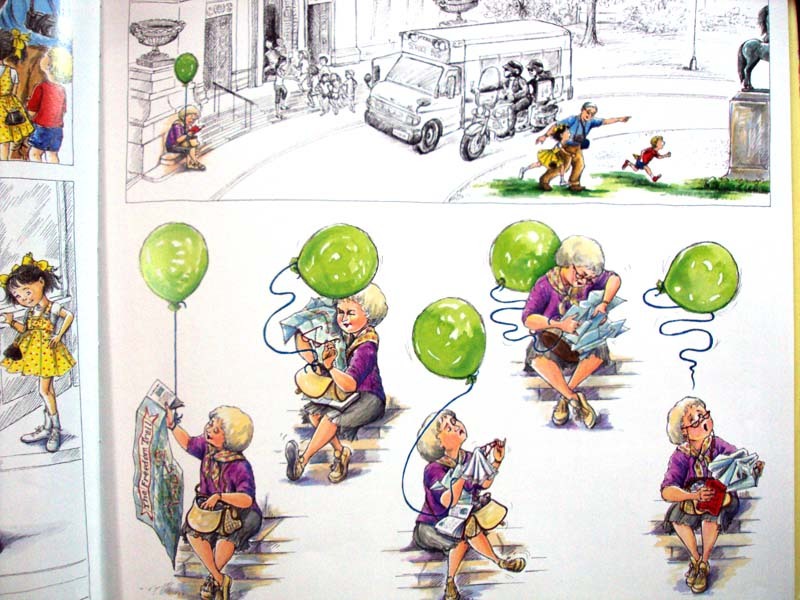 I knew, then, that this book would be the last in the series when grandmother herself experiences the usual commotion that the balloon creates when left to its own devices outside the museum. Boston Public Library Fiasco. One of my favorite places of all times is the library, particularly here in Singapore where I could spend hours just running my fingers through the spine of the books on the shelves until a jacketflap, a surreal book-cover, or an oddly-named author calls out to me. And so, I devote a little space here to the fact that Weitzman and Glasser highlighted this lovely place in quite a few pages of their book. Boston Public Library. 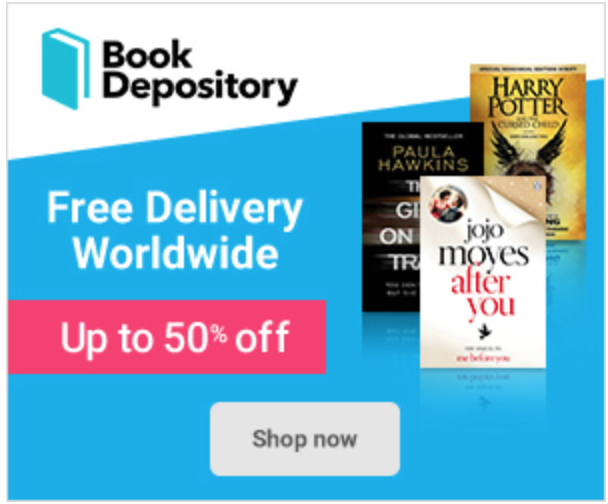 Click on the image to be taken to the websource. Our hot grandmama on a big bike. How sweet. 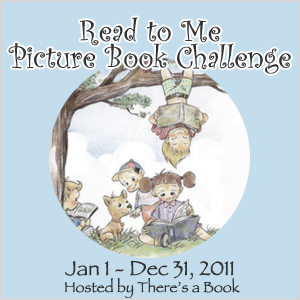 We see that there is an ongoing Childrens Book Week at the Boston Public Library, how I wish I could come visit. 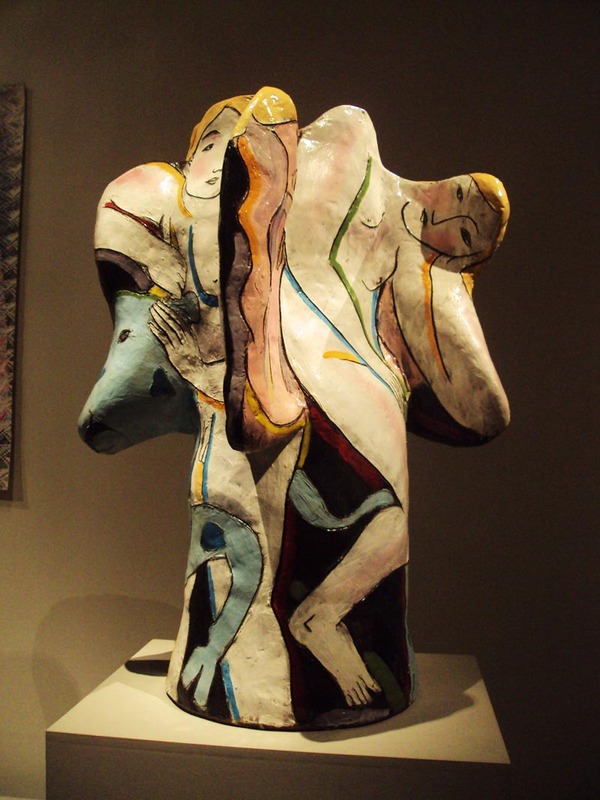 Intermingling of Life and Art Equals Laughter and Fireworks. 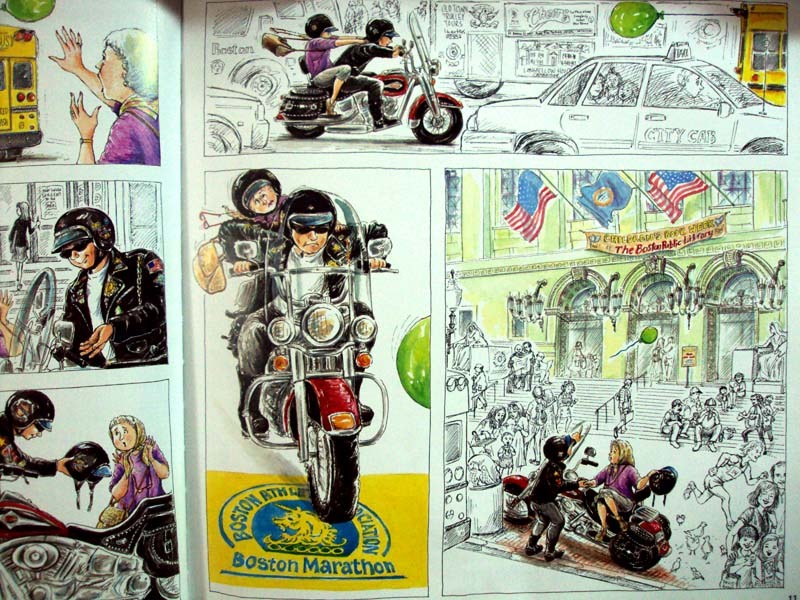 In the tradition created by Weitzman and Glasser in their first two books, there is this very tight interweaving of (1) the artwork seen by the children and their grandfather inside the lovely museum and (2) the chaos going on outside as grandma in a big bike chases the balloon with this curly-haired, very polite (I reckon), and extremely helpful police officer in tow. Look closely at the young mans cap – hes coming from Berkeley College of Music, while our sweet young redhaired thing is from Harvard – page 13 of the book. The painting on the right is “Painters Honeymoon” c 1864, (page 13), Lord Leighton Frederick, British (1830-1896), Oil on canvas; Charles H. Bayley Picture and Painting Fund as seen in the acknowledgments page. Historical Figures Milling About. As grandmother chases the wayward balloon through the Freedom Trail, the Boston Common, Chinatown, Quincy Market, and Fenway Park (among others), the astute and the eagle-eyed would be able to find “Faces from History” walking about, wandering the streets of Boston. 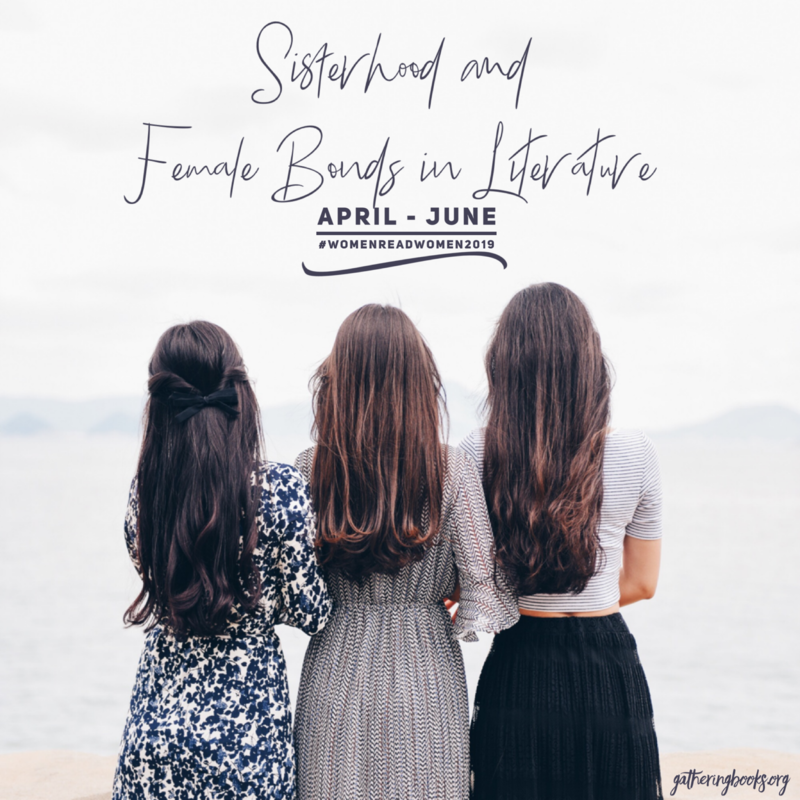 This is similar to the tradition that the sisters have begun in their second book in the series (the National Gallery Museum in Washington DC). What teachers would find particularly useful from this book is that there is an Author/Artist note at the back which details where you can find people such as Henry David Thoreau, Louisa May Alcott, Henry Wadsworth Longfellow, Larry Bird, Michael Dukakis throughout the book – along with a very brief description of their accomplishments and contribution in American life as it is known today. Last Batch of Museum Photos. Now here is my last batch of museum photos as taken from De Young Museum in San Francisco December of 2010. Hope you enjoy it! Rudy Autio (b. 1926) Electric Beach, 1987. Glazed stoneware. 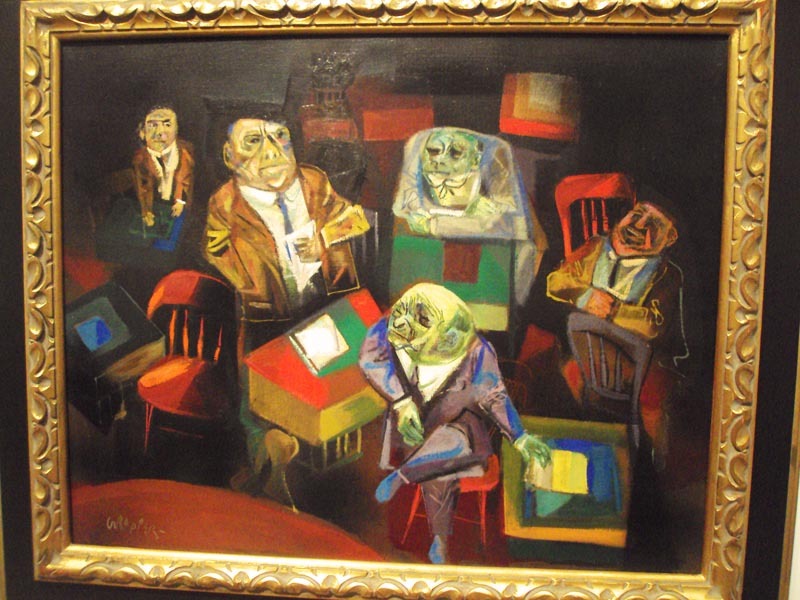 William Gropper (1897-1977) Senate Hearing, ca. 1950. Oil on canvas. 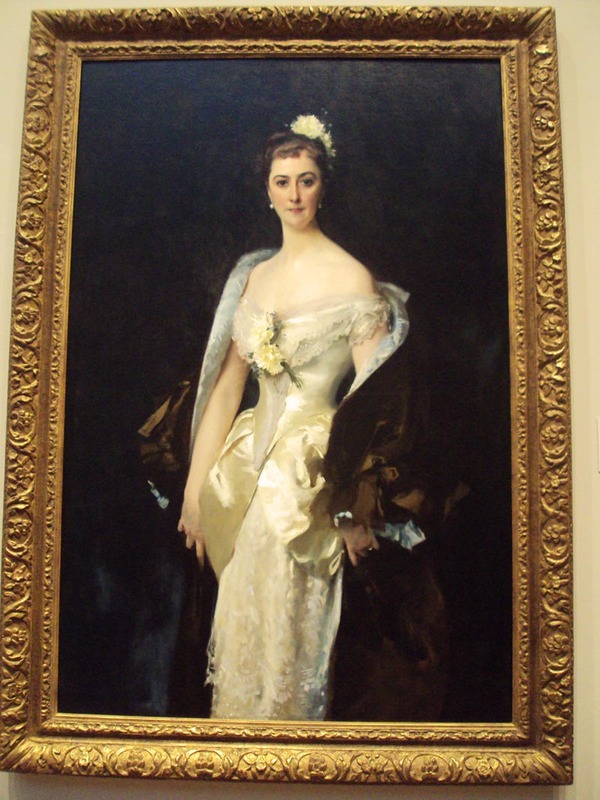 John Singer Sargent (1856-1925) Caroline de Bassano, Marquise dEspeuilles, 1884. Oil on canvas. 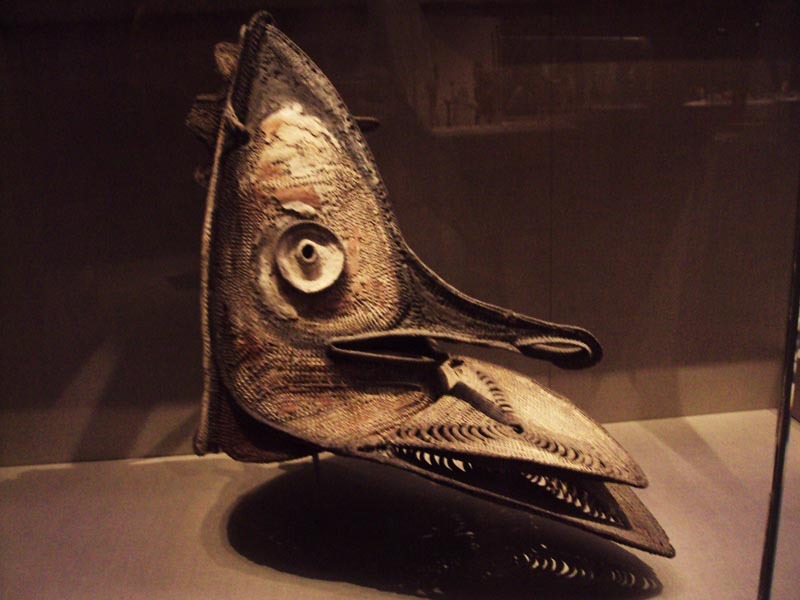 Female mask, Middle Sepik, Kapriman language speakers, Early 20th century. Basketry, cane, pigment. You Can’t take a Balloon into the Museum of Fine Arts. 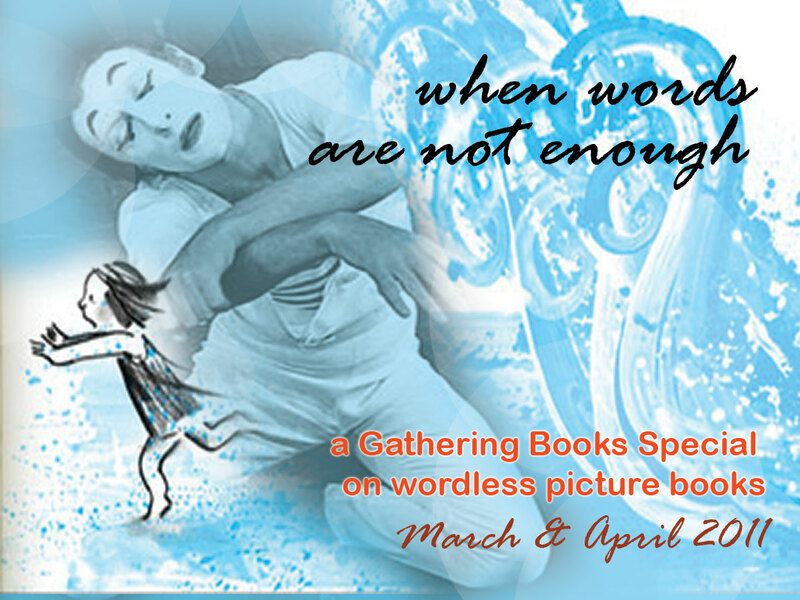 Story by Jacqueline Preiss Weitzman, pictures by Robin Preiss Glasser. 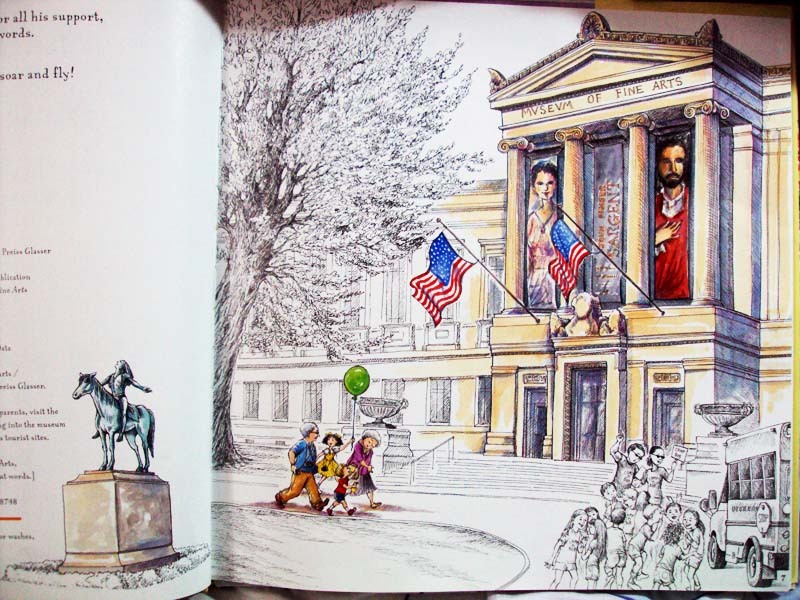 Dial Books for Young Readers, New York, 2002. Book borrowed from the community library.